A sound education aims at the refinement of both character and personality. A good school strives and continuously works to weed out what is undesirable and carefully nurtures what is desirable. We aim to give our children who are the Tools, with which they employ to build new bright world tomorrow.Keeping in mind the vision that – we are committed to continuous improvement in learning environment that enhances values, honesty, self esteem, discipline ,responsibility and accountability in partnership with parents. Knowledge, the students will use, to correct the mistakes that we make today . wisdom, which shall help them find the answer that we have yet not found. We firmly believe that a fine balance between Academic pursuits and extra -curricular activities lead to the all round development of a child and it is this belief that continuously motivates the school to provide such an atmosphere and opportunities to the students, where they can nurture and hone their talents and skills. A broad curriculum is offered to students exposing them to a wide array of subjects. We believe that learning should be fun, a process of discovery, a gradual unfolding of the mind and not a highly pressurized tension filled result oriented system. 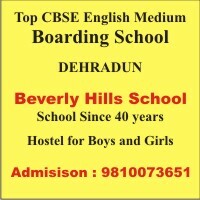 The school is situated in a lush- green ambience that is totally free from pollution and it is totally a “traffic-free-Zone”.The school is provided with all facilities required for imparting total education of highest quality.Some of the prominent facilities are :- Study room, Science laboratories , Computer labs ,library ,a Big Play Ground , Badminton and Volley ball court .etc.